From 14 – 25 July, Emma Critchley will be undertaking a residency at the National Trust site The Cabin in Bucks Mills. The residency will mark phase one of her project When the Waters Recede and will form an important part of Emma’s research. As part of this residency we are delighted that Emma will be giving a talk about her new project and her lens based practice. During the residency we are calling to all South West residents who have been affected by flooding or even been involved in a tsunami to come forward and share their stories. Emma will open the Cabin doors to visitors on Saturday 19 and Sunday 20 July. If you are happy for your story to filmed or aurally recorded we ask you to make an appointment for Friday 18 or Monday 21 July. Please email Emma directly at info@emmacritchley.com. The overall project, set to take place throughout 2015, will consist of a series of site specific installations spanning the area of Hartland to Bristol and Cardiff that will reflect on the most destructive flood in British history in 1607. The flood, which is now believed to have been a tsunami destroyed 350 miles of coastline and swept away more than 300 square miles of lowland. 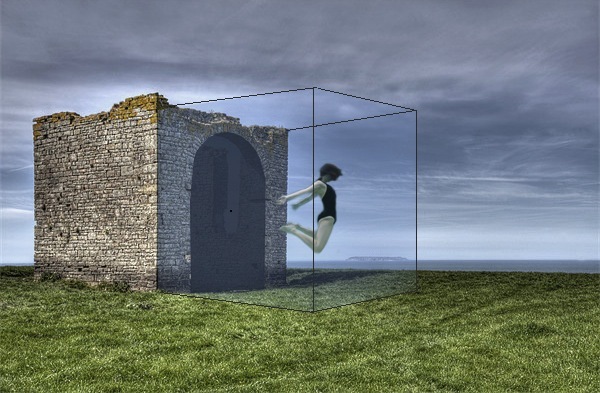 Emma who graduated with an MA from the Royal College of Art in 2011 has worked in photography, video and installation for over ten years to explore our relationship with the underwater environment. Her work has been funded by the Photographers Gallery, the National Media Museum, Arts Council England and The British Council amongst others. She has exhibited extensively both nationally and internationally and was last featured at White Moose as part of the Masquerade group exhibition in 2013.